With all the new promos being released we are getting out first look at what C-3PO will look like in the upcoming new Star Wars film. Seems with every movie release there has been something new changed on our favorite golden droid. This time, we see that the protocol droid has a new arm, a red one in fact. Since it has been 30 years since Return of the Jedi, there has been no explanation on the stories that happened in between the films, but not to worry, Marvel has it covered. We’ll get to see this one issue story released just before the film releases in December! 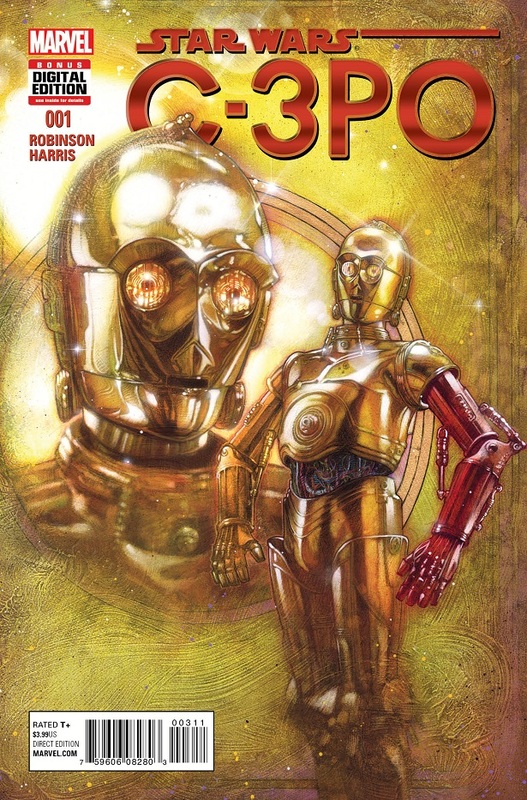 How and why he gets this new arm are the subject of the just-announced Star Wars Special: C-3PO one-shot comic from Marvel, from the reunited creative team from DC’s legendary series Starman from the ’90s,James Robinson and artist Tony Harris. Previous Previous post: New Star Wars The Force Awakens Promotional Images!